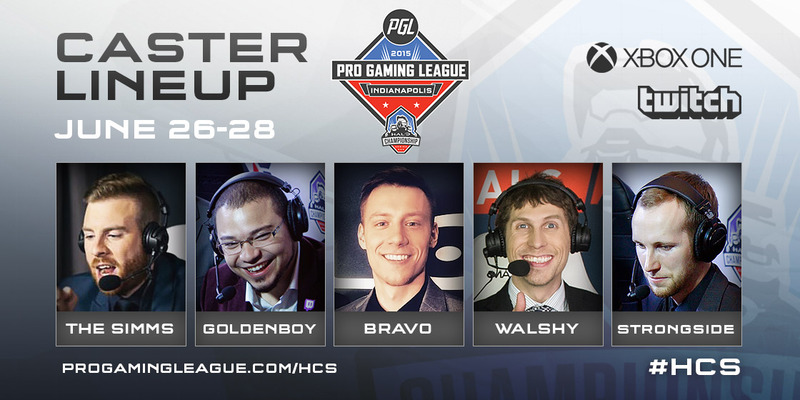 HCS Indianapolis presented by PGL is a little over a month away, and we’re getting more and more excited with each day! Today we wanted to provide you with a little more information about the tournament, as well as a few announcements. Don’t have a team but still want to catch the action? You can purchase a 3-day Indy PopCon pass here for just $45. Not only will you get to watch every minute of this premier Halo Championship Series event, but you’ll also be able to walk the show floor and visit the other awesome booths and exhibitors. For information on getting an Indy PopCon pass and to see what else the event has to offer, visit IndyPopCon.com. As always with Halo Championship LAN tournaments, you’ll be able to tune in on Halo Channel or Twitch.tv/Halo. Richard “The Simms” Simms: Halo community stalwart and one of UK’s finest. Alex “Goldenboy” Mendez: Global Icon and National Treasure (his words, not ours). Andy “Bravo” Dudynsky: Halo fanboy. Dave “Walshy” Walsh: Halo legend with a certain knack for strategy and analysis. Michael “Strongside” Cavanaugh: Halo Nation Champion and member of the 343 Pro Team. This by far is going to be a great casted tournament. The addition of The Simms to this lineup is pretty great. Can’t wait for Indy!